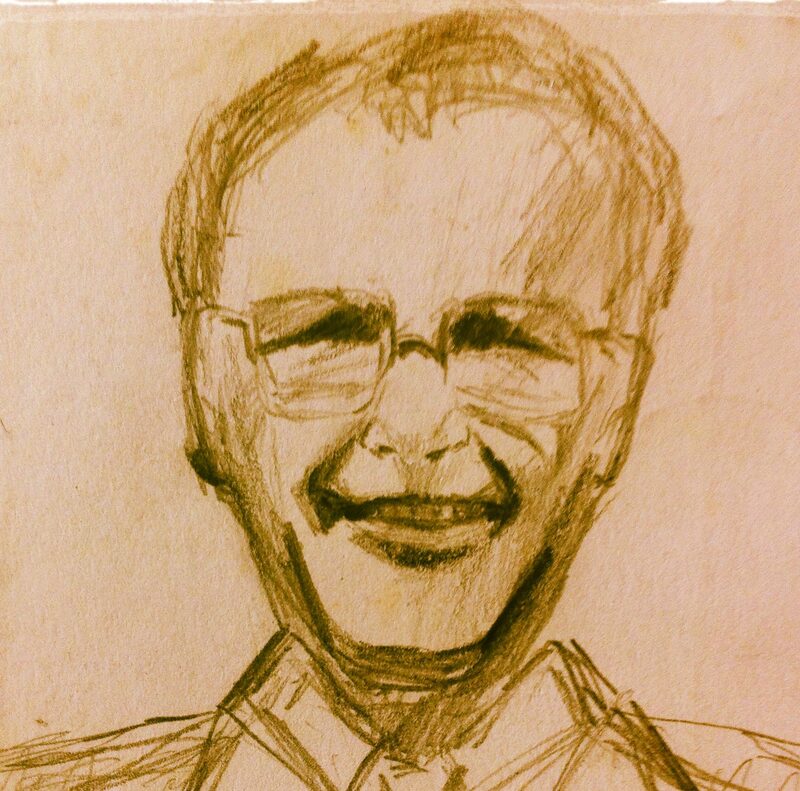 A sketch of my dear old Dad, David. This is a sketch I did a while ago of my dad who died 25 years ago today. It feels like forever ago, a lifetime ago, I suppose it was. My dad died unexpectedly from a heart attack in April 1990. He had been suffering from angina, but his death was still a huge shock to me and my family. I was only 16 when it happened and prior to his death, I had been too busy slamming doors and being a teenager to get to know him. I thought I knew everything about the world and in retrospect knew nothing and no-one. This quote from Mark Twain, who was coincidentally one of Dad’s favourite writers, seems to sum up the arrogant state of mind of the teenage years. “When I was a boy of fourteen, my father was so ignorant I could hardly stand to have the old man around. But when I got to be twenty-one, I was astonished at how much he had learned in seven years.” Mark Twain. Reading this quote now, I feel robbed that I never really got to know my dad, and that I never knew that my dad was wise, funny, droll and a great raconteur. My older sisters, who were 20 and 22 at the time of his death, are able to recall his stories and his wisdom, but for me, it really is just a blur. Saying that, I can vividly remember the last conversation I had with my father. It was very late on Good Friday and I was meant to be studying for my forthcoming GCSE exams, but instead I was staying up late finishing a huge A1 drawing I had been working on – a copy of a Gothic album cover, something in royal purple and black. Dad came into my joss stick smoke filled room and made the obligatory comment about the music I was listening to being a bit depressing and that my room was too dark to work now. He then complemented my drawing, saying I had a real flair for art, but said I needed to go to sleep now, because mum had a busy day planned for tomorrow, as both my sisters had returned home from Liverpool and London to celebrate Easter as a family together. I turned off my music and went to bed. 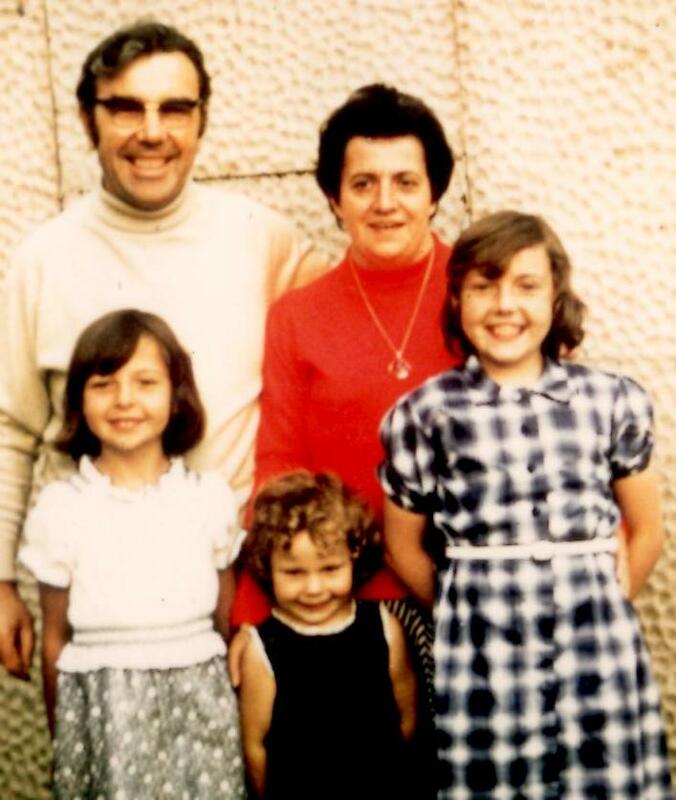 The next thing I knew, it was morning and my dad was dead – It really was that sudden. I did not come to terms with what happened at the time and if I am honest I never have. But if there is one thing I have learned in the last 25 years or a piece of advice I could give, it is this, please make the most of life today and every day with your friends and family, because you never know what’s round the corner. Your words are so true and brought tears to my eyes. I’ve known you since we were eight and remember that sad day 24 years ago – madly I woke up at 6am and for some inexplicable reason wanted to ring you but I thought I was being silly so ignored it. I don’t know if I’ve ever told you this. And so when Gemma asked me if I’d heard about what had happened, I already knew. I’ve never heard you say what you’ve written either. I’m not sure if we come to terms with all things but I’m very glad to have a friend like you in my life to make the most of it with.